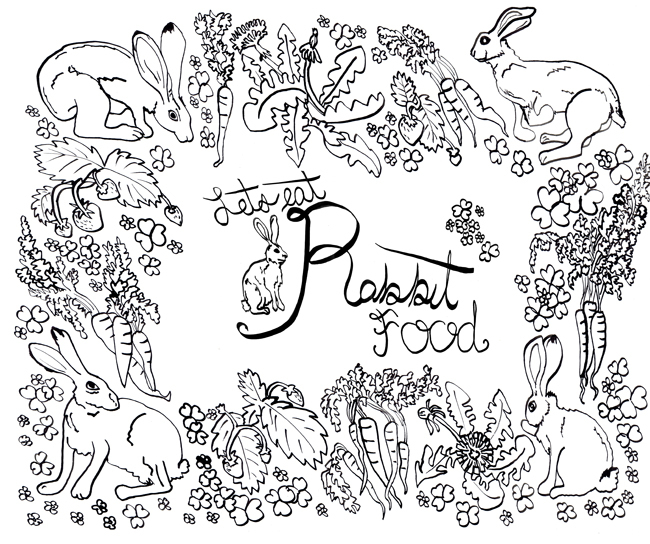 I actually eat some very fatty and hardy meals as a vegan, but many people still refer to meat-free diets as "rabbit food." While I do love a chocolate peanut butter cookie dough soy milkshake on occasion, I also do love my carrots, greens, nuts, and so on. 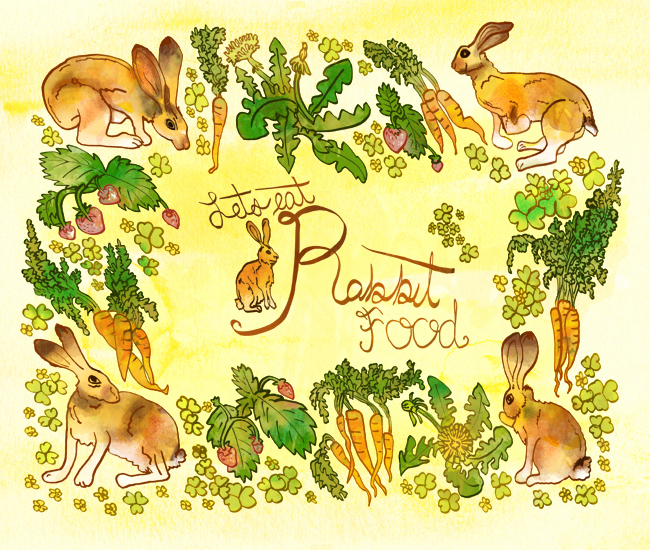 Though all types of salad-related and fiddly veggie food is often called "rabbit food," for this piece I only included food that bunnies actually eat. With the bunnies is some yummy dandelions, carrot greens, strawberries, and clover. This piece has a lot more digital components that my previous work. I am still experimenting. The hand-drawn component is below. It was done in ink on 18"x14" bristol. The rest was done in Photoshop, with some textures pulled from wash studies I'd done previously.